A man was injured in a shooting at a mall in New Jersey on Black Friday — at least the second shooting to take place at a mall on one of the biggest shopping days of the year. The shooting at The Mills at Jersey Gardens in Elizabeth, New Jersey, less than a half hour southwest of Lower Manhattan, injured one person, police said. The shooter is still unaccounted for. The victim was shot in the wrist in a hallway between Marshalls and Tommy Hilfiger, the city of Elizabeth said in a Facebook post. The post also said the victim was not cooperating with the investigation. Police patrol The Mills at Jersey Gardens mall in Elizabeth, N.J., after one person was injured in a shooting on Black Friday, Nov. 23, 2018. The mall was evacuated and closed, police said. 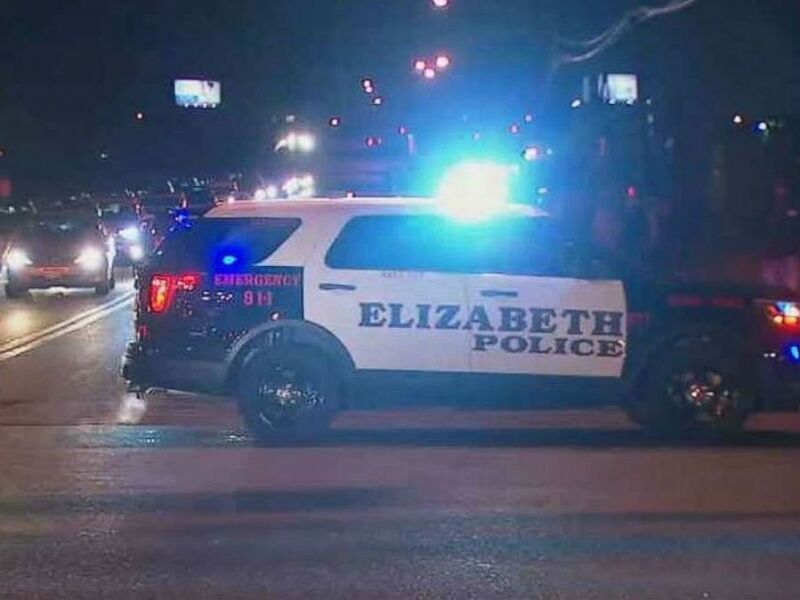 “Mall cameras are being reviewed to determine the circumstances of what happened and to possibly identify any suspects,” according to Elizabeth police. The city said in its post that “approximately 25,000 shoppers” had been through the mall since 10 a.m. on Wednesday morning, and the shooting took place just hours before it was set to close Friday night. “Out of nowhere we just saw people running, screaming and begging to be let into the store,” one employee told New York ABC station WABC. A person was shot and killed at a mall in Hoover, Alabama, on Thursday. Authorities said an 18-year-old man and a 21-year-old man got into an argument at the mall and the 18-year-old was shot. After responding, police opened fire and killed the 21-year-old, who they said was brandishing a handgun. Police believe a third person may have committed the shooting that seriously injured the 18-year-old and was still at-large. One person was shot at The Mills at Jersey Gardens mall in Elizabeth, N.J., on Black Friday, Nov. 23, 2018. A 12-year-old girl was also hit by a stray bullet, but was in stable condition. 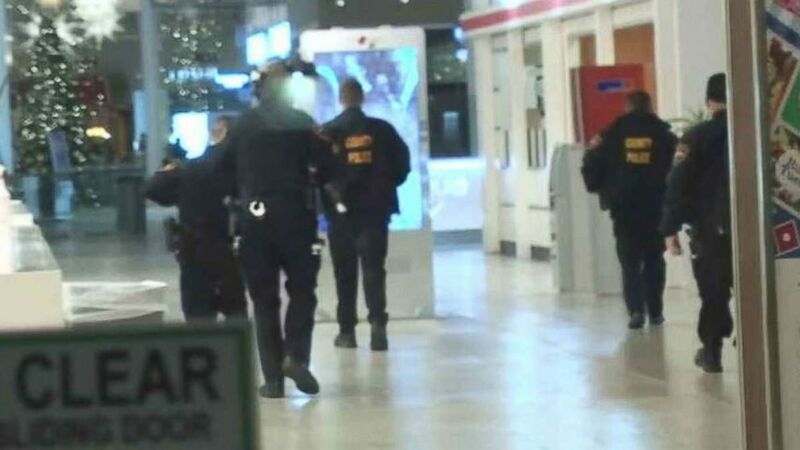 In addition to the two shootings, two people were stabbed inside a Macy’s at Destiny USA — the mall formerly known as the Carousel Center — in Syracuse, New York, on Friday afternoon. Onondaga County officials confirmed both suffered non-life-threatening injuries. ABC News’ Louise Simpson and Jason Volack contributed to this report.